Necklace beautifies a woman and adds to her looks and overall personality. Women love wearing different necklace designs according to their outfit to exude sophistication and make a style statement. During ancient times, the Egyptians wore necklaces made of stone, precious metals and other natural things. These days necklaces embellished with gemstones and pearls are a popular choice. The necklace and other jewellery you wear not only projects your aesthetic sense but also highlights your status and prestige. We have a necklace for every occasion, be it a birthday party or a wedding. 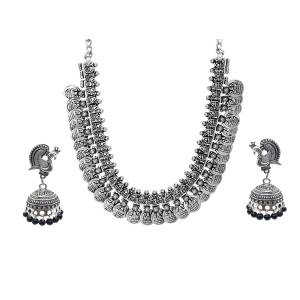 Necklace, earrings and bangles are essential accessory and since time immemorial women have always been fond of them. 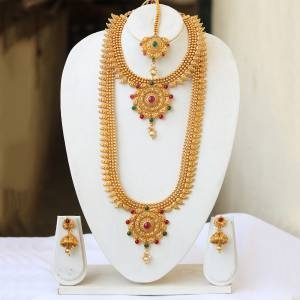 Women usually wear gold necklace on family occasions. However, considering high incidents of theft and robberies expensive gold and diamond jewellery is not worn commonly. However, our pearl necklaces are not only beautiful but also affordable. These necklaces are designed with colorful gemstones. Pearl-necklaces have always been the favourite of royal women because white pearls project their royal appearance. Pearls are also suitable for every occasion, and you can choose from our designer pearl necklace with intricate detailing for your jewellery collections. When you choose a necklace, you also need to collect the matching earrings. 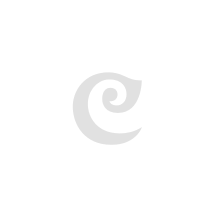 In this regards you can buy necklace online because at Craftsvilla, you can find some necklaces with matching Jhumkas and stud earrings. If you want to attend some corporate or official events then you must wear something, which is smart and sophisticated at the same time. Pearl necklaces at Craftsvilla are apt for corporate parties and functions of distant relatives and friends, as they are less costly and thus safe to wear. You can easily choose from our beautiful pearl necklace collection and match with your dress. Our pearl costume necklace designed with precious colourful stones look really very attractive. Choose from our royal designer pearl necklaces and pendants from renowned brands and win loads of compliments. Whether you are looking for the pearl bead necklace or for some costume necklace at an affordable price, Craftsvilla is the ideal destination for you. Here you can find more than thousand varieties of necklaces, which are embedded with precious stones, and available with matching earrings. Here the price is in your budget, the style is suitable for your personality and you have ample designs that make you look awesome.